A step beyond the office. Creating positive experiences between employees and their workplace. 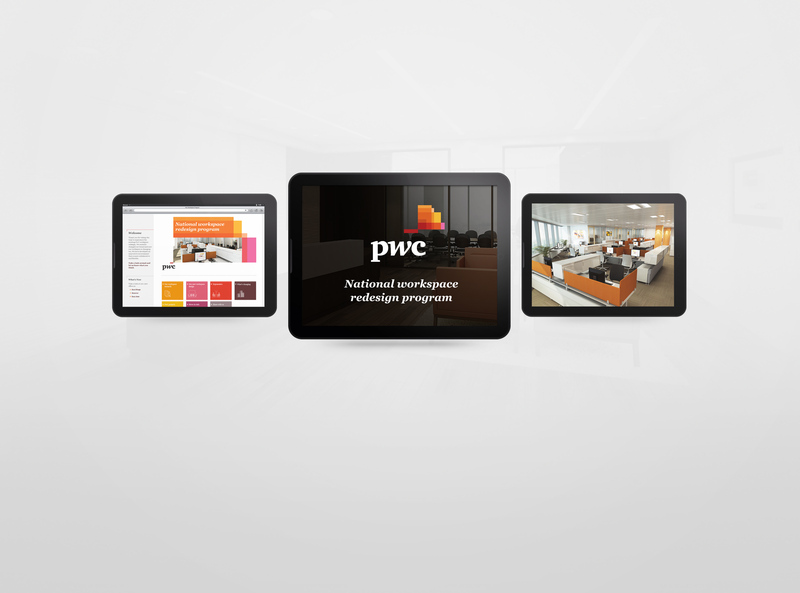 A web-based tool designed to allow users explore, experience and learn about the National Workspace Redesign Program of PricewaterhouseCoopers (PwC). Created as a collaborative joint solution between PwC and Steelcase ARC, the site integrates seamlessly with the company brand standards and can be accessed by any tablet device.